Today, I would like to talk about a few dietary changes we can make to lower our cholesterol. 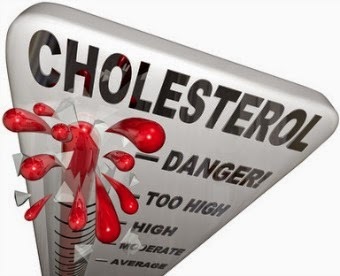 High cholesterol levels are becoming more of a problem, especially in the younger population. More and more young people are presenting with high cholesterol levels. Lowering your cholesterol levels is a great way to keep your heart healthy, and lower your risk of heart disease and stroke. Some people are genetically predisposed to high cholesterol levels, so in addition to dietary modification, will need to take medication to control their cholesterol levels. The American Heart Association recommends all adults 20 years and older, have their cholesterol and other risk factors checked. Before you are able to lower your cholesterol, you have to know your numbers. In order to test your cholesterol, your doctor will check your complete fasting lipoprotein profile, also called lipid panel. Typically, a lipoprotein profile will contain a total blood (or serum) cholesterol, High Density Lipoprotein/ HDL (good) cholesterol, Low Density Lipoprotein/ LDL (bad) cholesterol, and tryglycerides. Ideally, you want to increase your good (HDL) cholesterol, and decrease your bad (LDL) cholesterol. 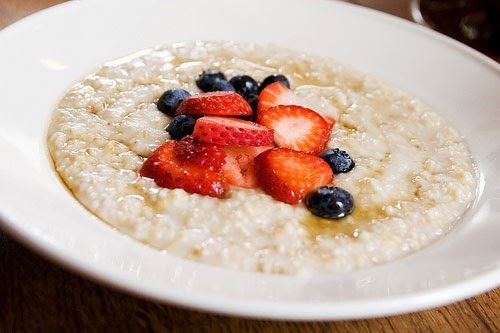 Eating Oatmeal, lowers your LDL (the bad) cholesterol. Soluble fiber is also found in beans, apples, prunes, barley. Soluble fiber help to reduce the absorption of cholesterol into your body. Personally, I try to eat oatmeal at least once every day. When I cook (nigerian) soup, I don't make "pounded yam" or "garri", I use oatmeal, and I find that I enjoy it just as much. Fatty fish is healthy because it contains Omega-3 Fatty Acids. It can help reduce your blood pressure, as well as your risk of developing blood clots. 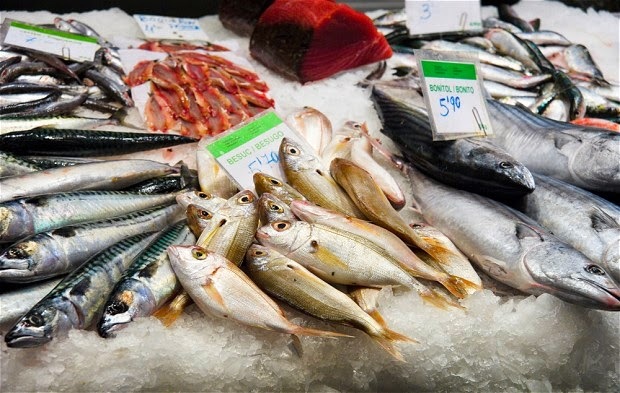 It is recommended, by the American Heart Association, that you eat at least 2 servings of fish a week. The highest levels of Omega 3 Fatty acids are in the following types of fish; Sardines, Mackerels, Herring, Salmon, Albacore Tuna, Halibut and Lake Trout. It is much healthier to grill or bake the fish, than to fry. Other foods that contain Omega 3 fatty acids include Flaxseed Oil and Canola oil. You can also get Omega 3 Fatty Acid supplements over the counter, at a Pharmacy. 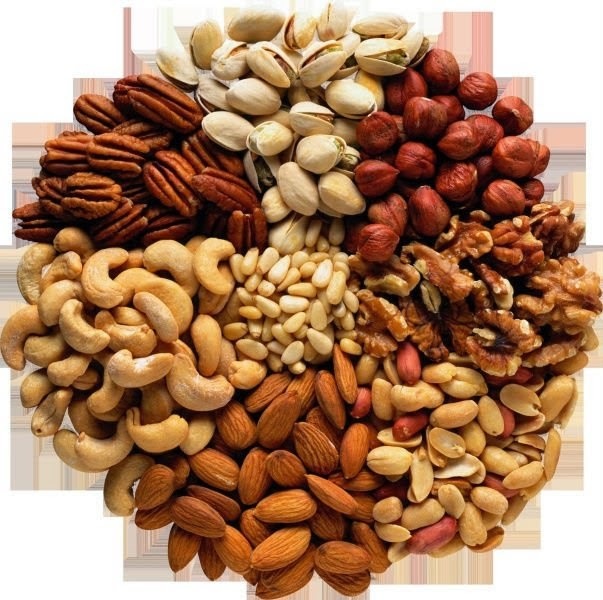 Walnuts, pecans, pistachio, almonds, peanuts, pine nuts, hazelnuts help keep your cholesterol low and heart healthy. Nuts are high in calories, so eating just a handful a day, will do. Olive Oil contains a good mix of antioxidants that can lower your LDL (bad) cholesterol, but will leave your HDL (good) cholesterol untouched. 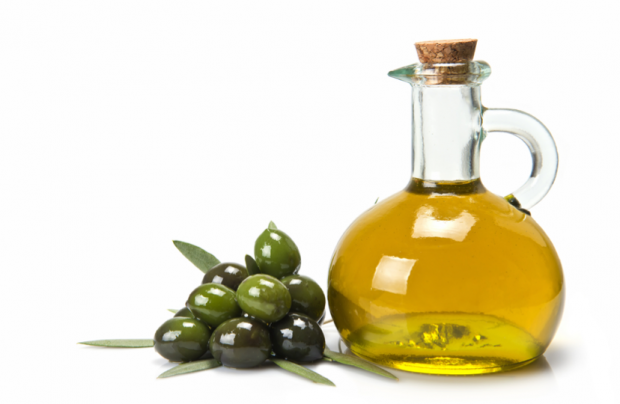 You can substitute olive oil for vegetable oil while cooking. It is even better to use extra virgin oil, which is less processed and contains more heart healthy antioxidants. Plant sterols and stanols are substances that occur naturally in small amounts in many grains, vegetables, fruits, legumes, nuts, and seeds. Due to their cholesterol lowering abilities, many food manufacturers now add sterols to their foods. You can find sterol fortified foods in margarine spreads, orange juice, cereals and granola bars, which help reduce LDL cholesterol by 10%. 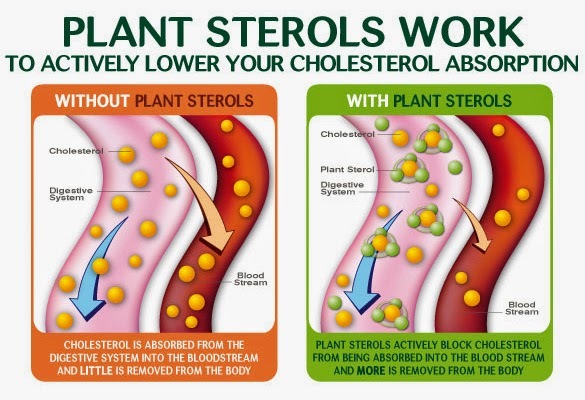 Sterols and stanols help to lower cholesterol by preventing the absorption of cholesterol in the blood stream. Overall, it is important to cut back on total fat intake, especially saturated and trans fat from your diet. Saturated fats, like those in meat, full-fat dairy products and some oils, raise your total cholesterol. Trans fats, which are sometimes found in margarines and store-bought cookies, crackers and cakes, are particularly bad for your cholesterol levels. Trans fats raise low-density lipoprotein (LDL), the "bad" cholesterol, and lower high-density lipoprotein (HDL), the "good," cholesterol. hi. how do you use oatmeat to eat your Nigerian soup? how do you prepare it? Hey.. you can get oatmeal flour from the African or Asian stores. You can also use a food processor and grind it till it is flour. I make it just as I would make pounded yam. There is also another one called wheat flour that is a great high fiber alternative to garri and poundo. Enjoy!